Its gastronomy is one of the fundamental pillars that makes Spain what it is and there are many products and dishes that have gained a great deal of recognition and prestige beyond its borders. The Spanish omelet, Spanish ham or olive oil are just some examples. And cheese? What about cheese? Fresh, cured, raw-milk, creamy, blue, sheep’s, goat’s…, Spain has one of the longest cheesemaking traditions, in the world boasting 26 varieties that have protected denomination of origin status. 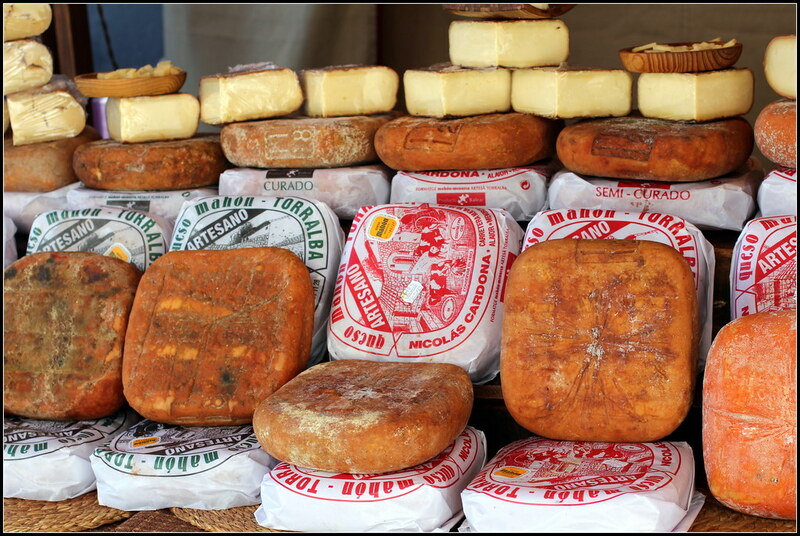 Here at Boutique Hotels Spain, we like cheese, and we like it to be traditional and local. That’s why we invite you to sample our cheese making culture, so that you can discover more about some of the most representative cheeses that Spanish gastronomy has to offer. The Basque Country and Navarra welcome us with open arms to enjoy this delicious delicacy. Made with raw milk from Latxa and Carrazana sheep, both breeds that are native to the area. Idiazabal cheese is a unique variety made from pressed paste, which is then aged and cured. It has an intense flavour, both balanced and very clean, characterised by the marked character of mature sheep’s milk, making it irresistible to the most descerning palates. Depending on the gastronomic tradition of the different valleys, this cheese can be found both smoked or unsmoked. Declared to be of European Gastronomic Heritage, it is without doubt one of the most valued cheeses in the world. And what better way to enjoy the local gastronomy than by staying in one of our boutique hotels. The Hotel Ixua and the Hotel Aire de Bárdenas are idyllic spots where and the surroundings envelope you and time seems to stand still. In addition to their incredible rooms in which to enjoy an unforgettable stay, its policy of using local produce brings you closer to the finest delicacies of the region and of course, Idiazabal cheese. The Region of Cabrales and the bordering towns of the Region of Peñamellera Alta, in Asturias, is the birth place of Cabrales cheese. Made with raw milk from cows, sheep and goats, Cabrales cheese is considered to be one of the best blue cheeses in the world. It is cured for between two and four months, in natural mountain caves, where the conditions of humidity and temperature are perfect for the development of penicillium type moulds, responsible for providing blue-green areas and veins so characteristic of this cheese. In addition to its appearance, it has an intense and slightly spicy flavour. To fully relax and to savour the cheese as it should be in the wonderful Asturian landscape, the Hotel Torre de Villademoros and the Hotel Palacio de Cutre invite you to immerse yourself in traditional Asturian gastronomy, in luxurious facilities and surroundings. You can choose between eating a good cheese on the shores of the Cantabrian Sea on the Costa Verde, or surrounded by mountains in the heart of the Picos de Europa National Park. And we end this short tour by visiting the island of Menorca and its famous Mahon cheese. A pressed paste cheese, made with milk from Menorcan cows, possessing the natural taste of the island, making it unmistakable and much sought after. During its aging, its rind is smeared with olive oil and paprika on a regular basis, which gives it its characteristic orange colour and a great deal of nuance of flavour in each bite. Mahón-Menorca cheese, made with milk that undergoes some treatment (such as pasteurisation) and is shaped using molds. Artisan Mahón-Menorca cheese, made with raw milk and using the “fogasser” and the “lligam” (cotton cloth and string) to give it its traditional shape. Our boutique hotels Alcaufar Vell and Jardí de Ses Bruixes offer incomparable settings in which to enjoy the incredible taste of this cheese as well as the best local cuisine. Our hotels without doubt offer a real treat for the senses, let yourself be seduced by its gardens, beautiful patios, haute cuisine and its spectacular rooms. Now that you know where you can enjoy the finest cheeses, all that is left is to get the adventure underway. Wherever you choose to go, make sure to indulge your taste buds with Boutique Hotels Spain!